We have received several reports of premature corn kernel sprouting across Ohio. 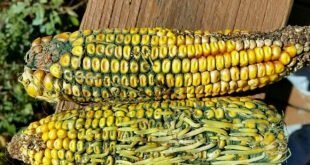 The ear in the picture exhibiting premature sprouting was sampled from one of the Ohio Corn Performance Test plots at the NW Research Station and was associated Trichoderma ear rot. In this particular case, the fungus that causes the ear rot produces compounds that stimulates early germination. However, not all ear rots are commonly associated with premature sprouting. In fact, under the right set of conditions, this phenomenon may occur in perfectly healthy ears, without visual disease symptoms. 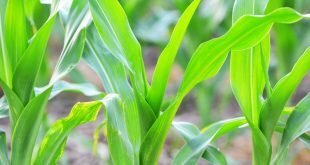 In addition to ear rots, a combination of other factors, including erect ears, bird damage, and wet weather, may contribute to premature sprouting. Premature sprouting is most likely to occur when reasonably dry kernels (less than about 20% grain moisture content) are re-wetted, especially when temperatures are warm and ear dry-down in an upright position. Are you looking for a way to diversify your farm income? If so, raising Hops may be of interest. 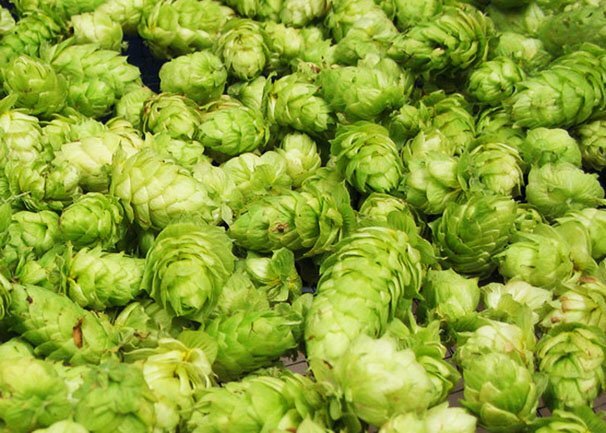 The number of craft breweries has grown substantially in Ohio and many breweries are interested in sourcing locally grown hops. The Tuscarawas County office of Ohio State University Extension will host a Hop Production & Management workshop on Oct. 25. The workshop will begin at 5 p.m. at the Mike McCoy Farm with a tour of the hop yard. Discussion will continue at 7 p.m. at the Bolivar Fire Department. Presenters include Brad Bergefurd, Horticulture/Hops Specialist, Ohio State University Extension; Andrew Marburger, Lockport Brewery; and Mike McCoy, Hops grower. There is no cost to attend, but pre-registration is requested no later than Oct. 18. Reservations can be made by calling 330-339-2337. By Matt Hutcheson, Seed Consultants, Inc.
Stink bug damage is becoming a greater concern in Eastern Corn Belt soybean fields, especially with the presence of the Brown Marmorated Stink Bug (BMSB), a species that has moved into our sales footprint in recent years. 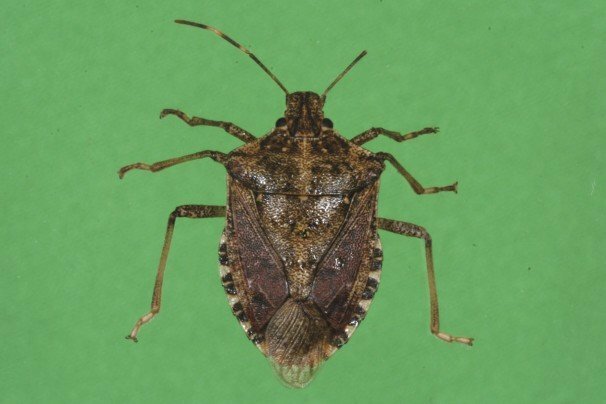 While other stink bugs cause damage, the BMSB is of special concern because it is an invasive species from Asia that was introduced into the United States within the last 20 years. First discovered in Pennsylvania in 2001, the BMSB has continued to move west. Over the last few years, university experts and company agronomists have heard more reports of stink bug damage to soybeans. Growers scouting their soybean fields around harvest time may have seen some pods that were shriveled and/or soybean seed that was very small or appeared to be missing. This damage may have been a result of stink bug feeding. Stink bugs prefer to feed on reproductive tissues, they have piercing mouthparts that allow them to feed on soybean seed in the pods of plants. I like to think about how to improve on my crop every year. It looks like yields will be good, but I think I missed out on a few bushels. On my mind for 2019 are several items for both corn and soybeans. For soybean variety selection, I comb the data. I have great friends with all the seed companies, and I want to buy from them all — but I really hold no loyalty to any one company. So I look at data, I often make a seed payment early, and sometimes commit to a particular variety, but I prefer to wait for university results to get a comparison across company offerings. I will also be looking hard for Frogeye leafspot resistance. I saw this disease everywhere this year so I need a boatload of protection. And for herbicide trait I am looking at LibertyLink again. It was a surprise that all the numbers for grain stocks were above expectations. The USDA report today is a quarterly grain stocks report published four times a year. Today the USDA had corn stocks at 2.14 billion bushels, soybeans of 438 million bushels, and wheat at 2.38 billion bushels. Just ahead of the report, corn was down 1 cent, soybeans up 1 cent, while wheat was down 4 cents. Shortly after the report, corn was down 6 cents, soybeans down 9 cents, while wheat was down 4 cents. As of mid-morning for the week, corn was up 7 cents, soybeans up 5 cents, with wheat down 13 cents. Mid-morning for the month, corn was down 1 cent, soybeans up 9 cents, with wheat down 37 cents. 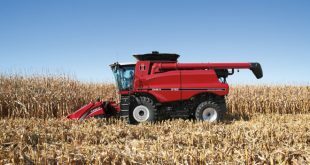 Trader estimates ahead of the noon report had September 1st corn stocks of 2.010 billion bushels, soybean stocks of 401 million bushels, and wheat stocks at 2.343 billion bushels. Glyphosate weed killer has been in the news in recent months. In August, a jury awarded $289 million in damages to a California pesticide applicator who sued Monsanto over the claim that glyphosate caused his cancer. 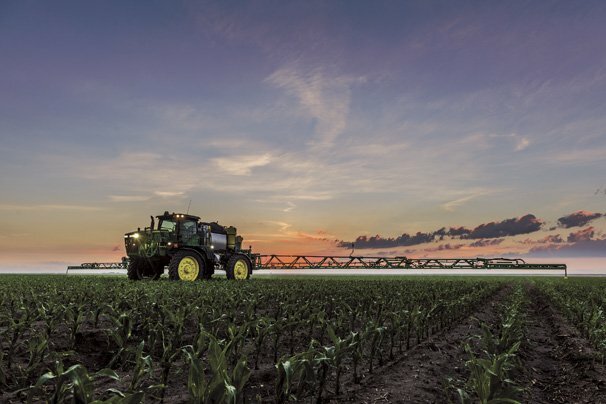 However, pesticide applicators have also received reassurances from the 2018 Agricultural Health Study and other risk assessments that glyphosate is not carcinogenic at real-world exposure levels. Since 1993, the U.S. Agricultural Health Study has examined how agricultural practices affect cancer and health outcomes among licensed pesticide applicators. An analysis in 2001 showed no significant associations between glyphosate and cancer. In 2018, an updated analysis of the Agricultural Health Study data included 54,252 pesticide applicators and 5,779 cancer cases. No association was found between glyphosate and any solid tumors or lymphoid malignancies, including non-Hodgkin’s lymphoma. While there was some indication of increased risk of acute myeloid leukemia in the highest exposure quartile, this association was not statistically significant. Splitting of green pods may be related to the recent warm, wet (high intensity rainfall), and humid weather. (The Western Agricultural Research Station in Clark County had a high temperature of ≥93 degrees F over a three day period in September followed by 3.5 inches of rain in a four day period.) Wet conditions at the R6 growth stage results in a large seed size that may split pods. 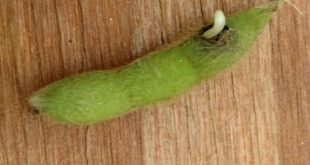 Once the soybean pod is open, the seed is susceptible to pre-harvest sprout (germination of seed in the pod prior to harvest). Q: How many years now have you been running around the countryside serving corn growers on several different boards? Anthony: I’ve been on the National Corn Growers Board for six years. I actually term off here at the end of September. So, I’ll have completed my eligible service and I can’t believe how fast six years went, but it sure has been rewarding. Q: Let’s talk about that, because as people think about volunteering time, and serving local boards, state boards, or in this case, national and probably some international travel. As you look back on it, was it the right thing to do? Anthony: Oh, it absolutely was. I just feel like I’ve grown as a farmer and, in some cases, grown from hotel food too. The Department of Justice (DOJ) recently decided to request a rehearing of a pesticide case before the 9th Circuit Court of Appeals. DOJ has asked for a panel rehearing and a rehearing en banc in a case in which the court directed the Environmental Protection Agency (EPA) to ban chlorpyrifos, a common and useful pesticide, within 60 days. 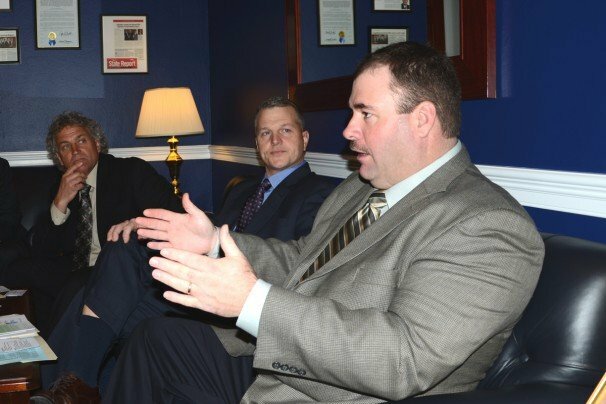 “USDA disagrees with the ruling ordering EPA to revoke tolerances and cancel registrations for chlorpyrifos. The decision appears to be based on a misunderstanding of both the available scientific information and EPA’s pesticide regulatory system. The U.S. Department of Agriculture (USDA) and other groups have pointed out significant flaws in the draft chlorpyrifos assessments on which the court based its opinion, and USDA supports EPA’s conclusion that the available scientific evidence does not indicate the need for a total ban on the use of chlorpyrifos. EPA should be allowed to continue its ongoing science-based and expert-led evaluation of chlorpyrifos, which is part of EPA’s registration review program that covers all pesticides,” said Sonny Perdue, U.S. 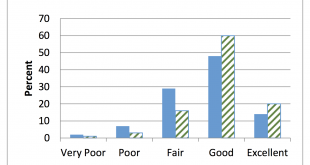 The Xenia Effect refers to the effect of foreign pollen on kernel characteristics. Cross-pollination occurs in corn because it is a monecious, which means that it has both male (the tassel) and female (the ear) flowers on a single plant. 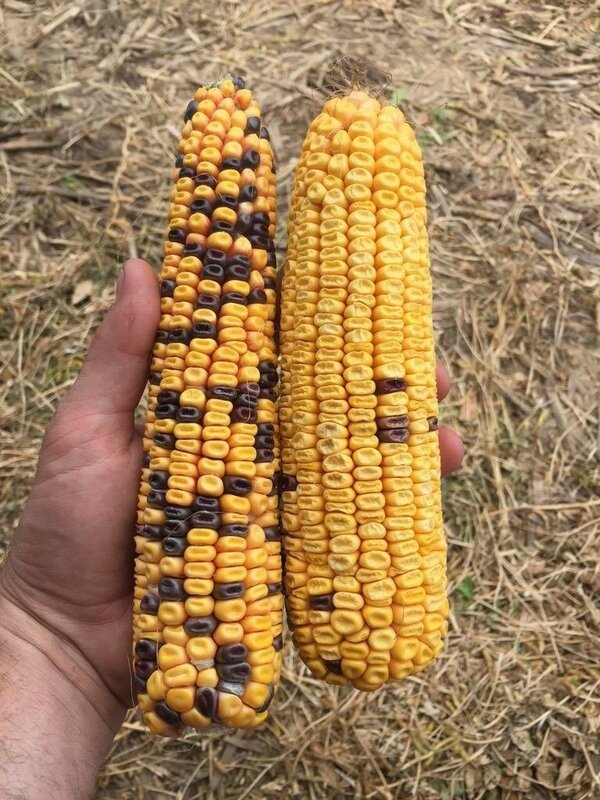 The Xenia effect occurs when pollen from the tassel of one corn variety moves from one field to another, landing on the silks of another variety which fertilizes and produces kernels on the ear. The picture above is an example of the Xenia effect, found by a Seed Consultants’ agronomist. Flint (also known as “Indian” corn) was planted a short distance from a field of hybrid dent corn. Both the flint corn and dent corn were flowering at the same time, allowing the flint corn to pollinate some kernels on the dent ears. The cross-pollination exhibited by the Xenia Effect can influence testing procedures and production of specialty corn crops. Producers avoided delays and got harvest underway last week, according to Cheryl Turner, State Statistician, USDA, NASS, Ohio Field Office. There were 5.3 days suitable for fieldwork in Ohio during the week ending September 23. Rain received last week mostly fell in southern and eastern Ohio. Harvest moved along well. The decrease in soil moisture levels made for better harvesting conditions. Corn for silage was coming off at a good pace. 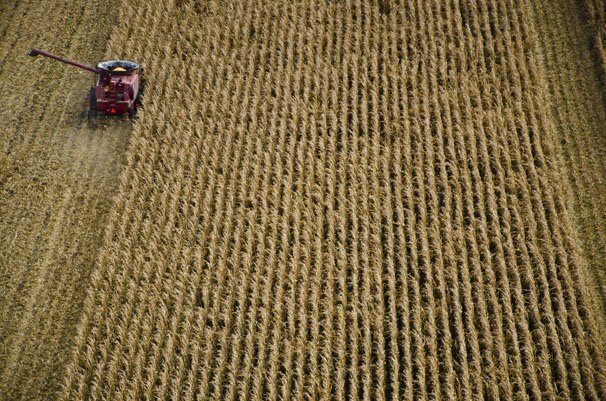 Corn for grain and soybean harvests began slowly in some areas. 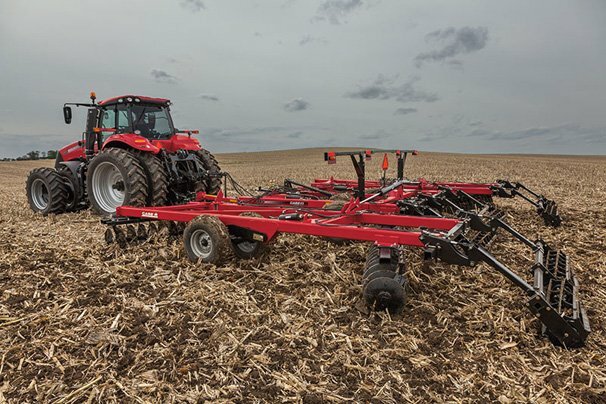 Field conditions allowed some produces to plant winter wheat. The average moisture content of corn harvested last week was 22 percent, and the average for soybeans was 14 percent. 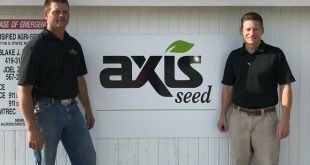 Blake and Nicki Rossel, owners of Diversified Agri-Services Inc. are excited to announce they have become a distributor for Axis Seed. “After careful consideration we feel the unique business model that AXIS provides will be a huge benefit to our customers. We realize there are a lot of seed companies vying for your business, however very few of them are willing to make the effort to understand each operation” Blake said. Similar to Diversified Ag, Axis Seed is independently owned and counter culture to the trend of consolidation in the agricultural industry. 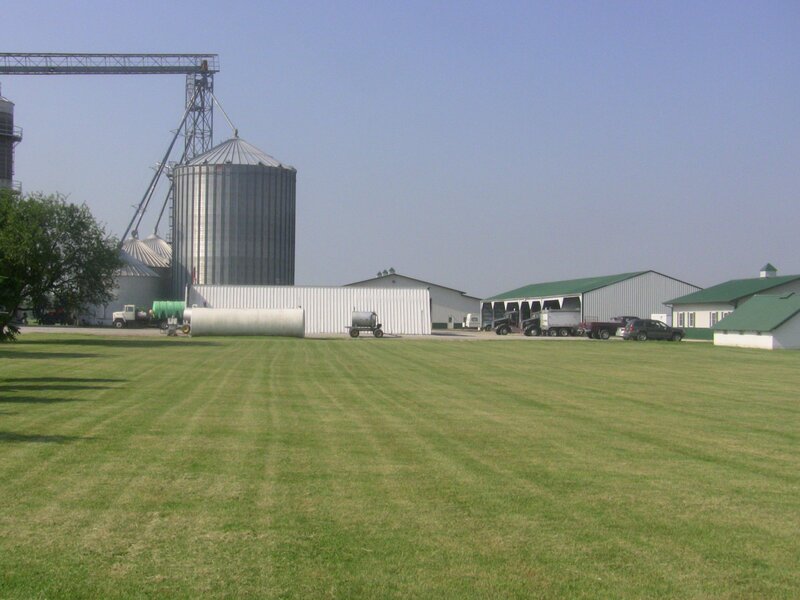 Diversified Agri-Services Inc. has been family owned since it was founded in 1978 by David and Linda Karcher. “Ohio is different than other areas of the country. What works in Illinois and Iowa may not be the best solution for growers here in Ohio. Blake and his team at Diversified Ag have built a solid business with this same belief. First, before using any product to treat grain bins, always read the most current label for the product to assure that the product is used correctly. This is for the protection of the grain to be stored in the bin as well as for the protection of the applicator of the product. Labels for products are subject to change from one year to the next, product registrations can be changed and/or canceled and rates may be changed. Errors made because of not reading the most current label could result in injury to the applicator or contamination of the grain with a non-labeled product making it unsalable. If a bin has had a known insect problem in the recent past where a residual population of the insect(s) could be hidden under the perforated aeration floor, fumigation might be the only option to destroy these hidden insects. Physiological maturity of a soybean seed occurs when the seed has completely lost all green color and turns yellow. At this point grain moisture is still over 50%, but a harvestable moisture of near 13% can be reached in as little as two weeks under good drying conditions. In order to time harvest perfectly, it is necessary to monitor soybean drying very closely. At full maturity (R8), 95% of pods have reached their mature pod color. At the R8 growth stage, only five to 10 good drying days are needed before harvest. Begin checking grain moisture before all the leaves have dropped off all the plants as various stresses can cause soybeans to retain some leaves. It is not uncommon to see a few green leaves and stems on some plants after the pods are fully ripe and the soybeans are dry enough for harvest. 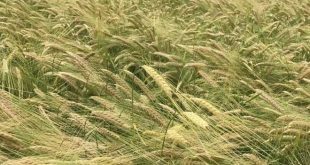 Many growers have heard the discussions of growing winter barley. 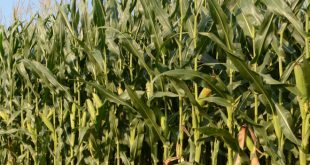 Small plot data is available from Ohio Agriculture Research and Development Stations (Western, Wooster, Northwest), but little field-scale data has been published. While growing a newly re-introduced crop could be a consideration on your farm, it may not be for everyone. Throughout the 2018 growing season, we had the opportunity to work with eight growers across nine field-scale, test sites for growing winter malting barley in Northwest Ohio. Growers were from Defiance, Fulton, Hancock, Henry, and Paulding Counties. Each planted small fields of barley that averaged 23 acres in size (range 7 to 63 acres). The variety Puffin was planted on all sites, and two of the sites included the variety Scala in the discussion. These two varieties are both over wintering, two-row malt quality barleys. Corn was bearish with the U.S. yield at 181.3. Soybeans were higher in spite of larger than expected yields. China soybean imports are declining less than expected tempering bearish numbers for soybeans. Russia wheat exports are unchanged. It was surprises across the board for corn, soybeans, and wheat. 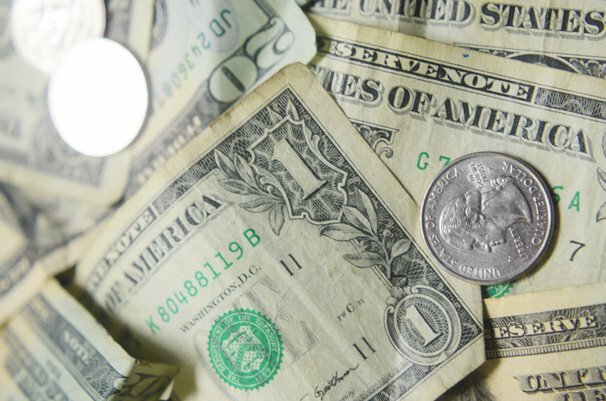 A news flash from Reuters News and the WSJ from earlier this morning, said, “U.S. proposing new round of trade talks with China in the near future.” That news moved soybeans 12 cents off the day’s lows. Moments before the report release soybeans were 6 cents above the day’s lows. Harvest is only underway in limited areas across Ohio. Today’s USDA report has producers across Ohio and the Midwest anxious for even a whisper somewhere of friendly news in the grains complex. The biggest concern today is the U.S. soybean yield, production, and ending stocks. It seems a forgone conclusion those numbers will increase from August. 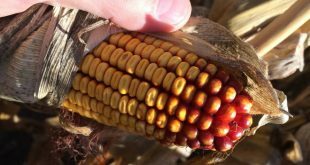 One common occurrence observed by growers and agronomists at when corn begins to mature is a red coloring of the normally yellow pericarp of corn kernels. Kernel Red Streak (KRS), pictured top left, results from the development of red pigment in corn kernels caused by wheat curl mite feeding on the kernel seed coat. 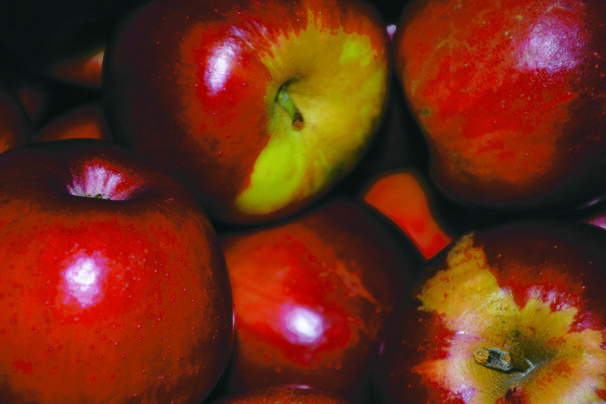 According to Purdue’s John Obermeyer and Christian Krupke in the 2015 issue 25 of the Pest and Crop Newsletter; “There are two suspected mechanisms causing the red streaking. One is the triggering of anthocyanin, a red pigment, in the pericarp as a response to mite feeding. Hybrids vary greatly in how much and where anthocyanin accumulates (e.g., purple seedling corn under cool, wet conditions). The other is the elicitation of another red pigment, phlobaphene, that determines cob (white vs. red), pericarp (great variability as shown with Indian corn), and silk (yellow vs. The world’s largest Script Ohio will be on display this fall in a 100-acre field just east of the Molly Caren Agricultural Center in London, site of the Farm Science Review. 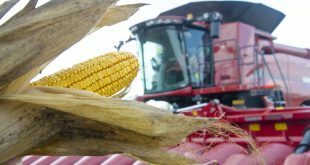 For the past four years, The Ohio State University’s Precision Agriculture program has demonstrated GPS-guided “smart planting” using multiple corn hybrids. The team brought Buckeye spirit to the field with a simple block “O” in 2015, Brutus Buckeye in 2016, and Ohio State Athletics Block O last year. 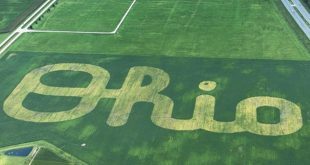 Now, Precision Agriculture has brought the Ohio State Marching Band’s famous Script Ohio to a soybean field. “We decided to start and continue this project to show the potential of new multi-hybrid/variety planting technology and demonstrate that it can complete tasks with accuracy and precision to the point of making logos in field scenes,” said Andrew Klopfenstein, senior research associate engineer in the Department of Food, Agricultural and Biological Engineering (FABE), part of the College of Food, Agricultural, and Environmental Sciences (CFAES) at The Ohio State University. Wow! August proved to be a strong month for finishing out what looks to be a very large corn and soybean crop for many parts of Ohio. With just a few exceptions, nearly all of Ohio had surplus moisture by the release of the Sept. 2 USDA National Agricultural Statistics Service (NASS) weather summary for Ohio. 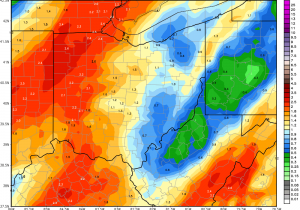 A few notable exceptions were Pandora that was 2 inches below normal, Cambridge that was 4.59 inches below normal, Bucyrus that was 4.53 inches behind, and Stow that was almost 6 inches below normal precipitation since April 1. On the flip side, Washington Courthouse has seen 6.52 inches above normal, Newark had more than 8 inches over normal, Circleville is 9 inches above average, and a Cleveland location is a whopping over 10 inches above normal precipitation for this time of year. August had no shortage of Growing Degree Days either. Again, the vast majority of Ohio locations were well above average for GDD accumulation. Throughout the 2018 growing season, AgriGold agronomist John Brien has been working with farmers to do something a little unorthodox. He is having producers send in tissue samples on a weekly basis. 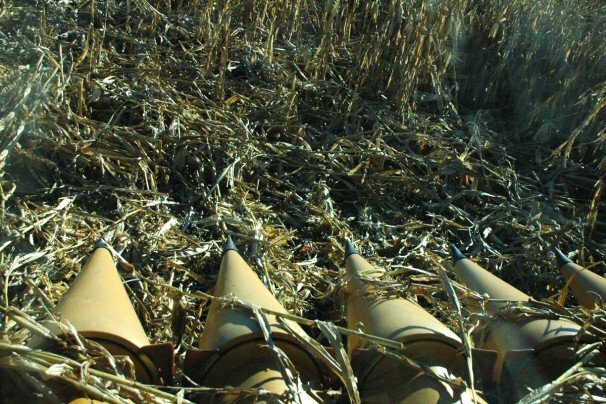 The end goal, according to Brien, is to see if growers are getting enough nutrients to the plant at any given point of the season or if there are big holes somewhere that need to be addressed to fix the production system, offering a different mindset to see what this type of tissue sampling can offer.